Got Leftover & Excess Inventory? Got empty seats? Got overstock? Slow hours? 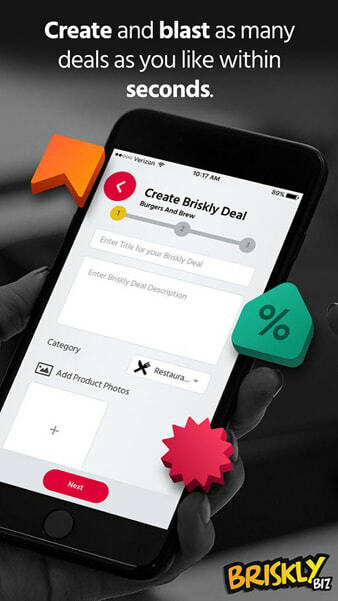 Use Briskly Biz to send last minute deals to nearby customers that can get there right away. 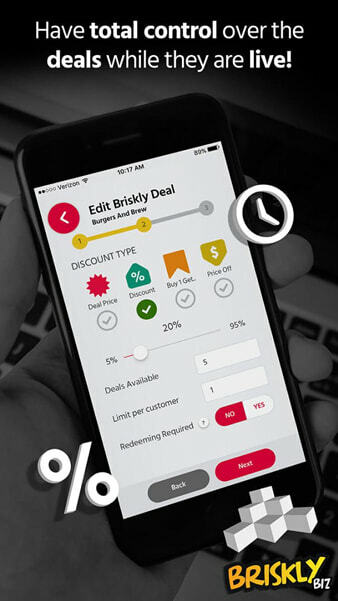 Create and send a Briskly Deal within seconds. 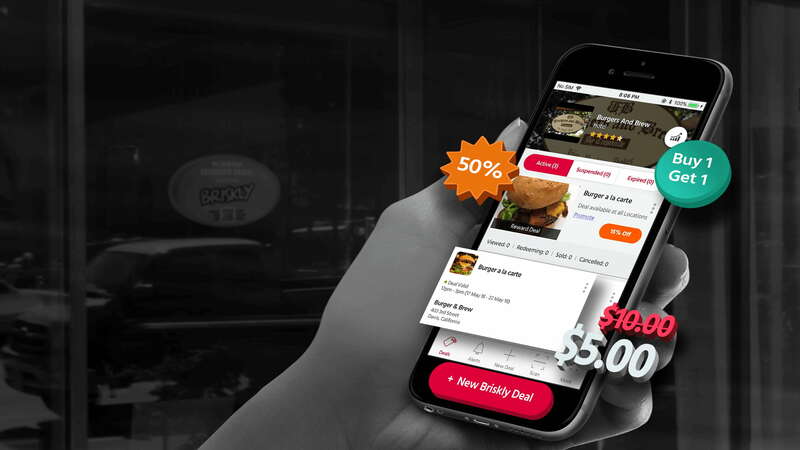 You can control the quantity, the discount and the time of the deal, live! Get rid of overstock, fill empty seats and drum up business whenever you like. every aspect of a deal to send to nearby customers. and the discount.Then manage it in real time. 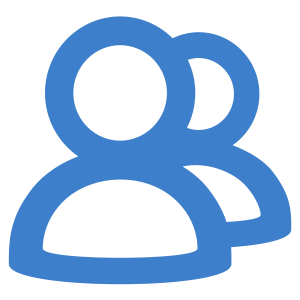 View activities on your deal in real time. You can also edit the quantity and discount on demand. 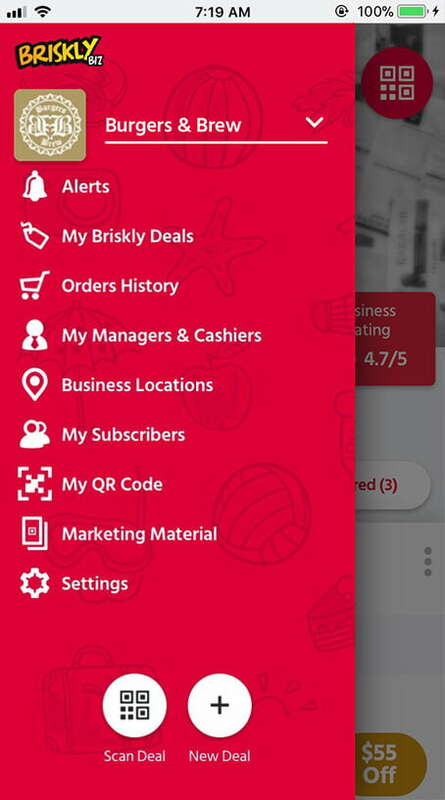 Retain your costumers by having them subscribe to your business and get new ones that subscribed to your business category. 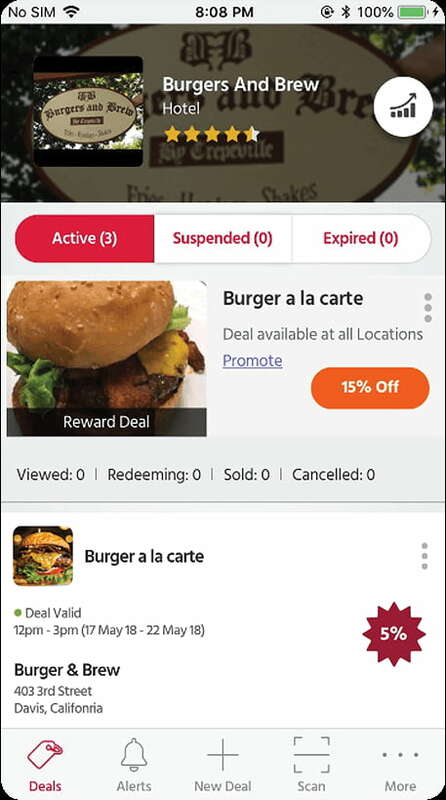 Stop wasted inventory and drum up business in slow hours by sending last minute deals to loyal customers nearby. You can use the service for FREE for 30 days. No strings attached. 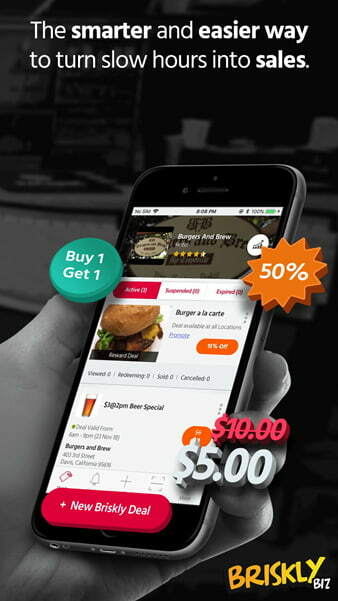 Reach your customers who loved your place and other potential customers searching for a great deals in your category. 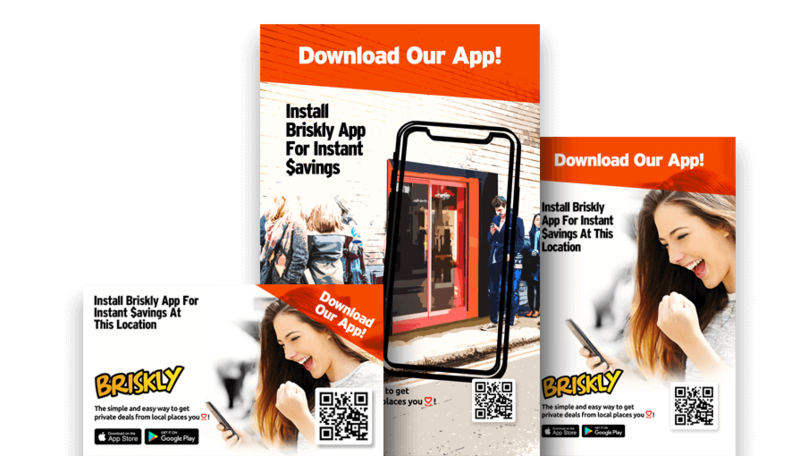 Select, Print and Post Free Marketing Material at Your Place. Marketing Material is available to you free of charge. Select which posters you like, then print them or post them on social media. Your business name and QR Code is already printed on them. 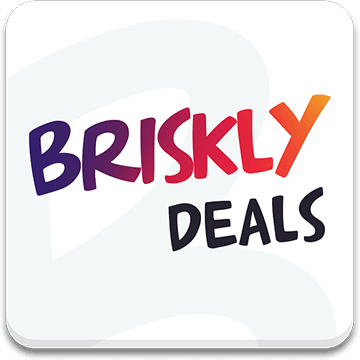 Your customers can subscribe to your place to grab your Briskly Deals first.